Are you getting a TON of traffic from Pinterest? If not, we should definitely talk. 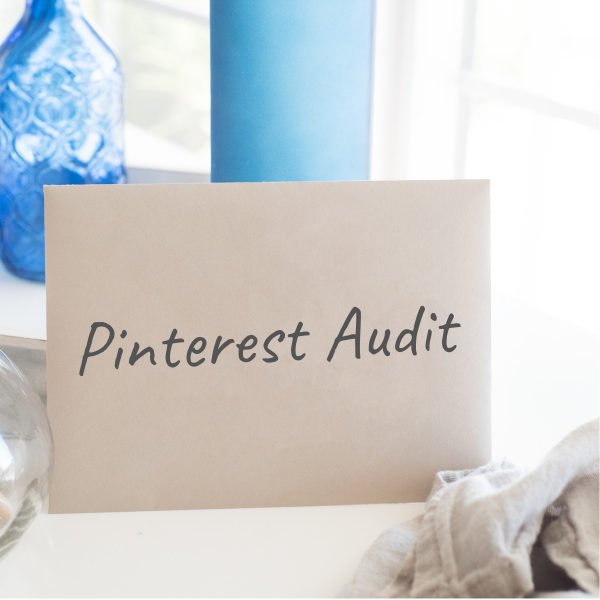 A full Pinterest audit will help determine whether your Pinterest profile, boards, and pins are optimized and using Pinterest keywords. Let’s make sure you are maximizing the impact of Pinterest and taking advantage of all of the free traffic it can provide! Your Pinterest audit will cover a number of different ways you can maximize Pinterest traffic to your blog by optimizing your profile, boards, and pins. You will receive direction on how to improve your pinning strategy, how often to pin, what to pin and when to pin. There’s so much free traffic to be gained from Pinterest, so it’s a MUST to make sure your Pinterest account is set up properly and working the way it should!